Three steps. That's all it takes. 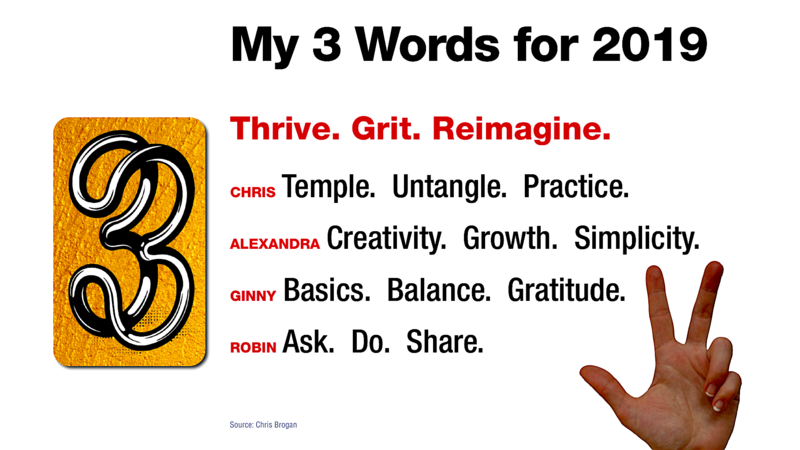 The power of three words within those steps — all you need to super-simplify your year. Bill Jensen, has spent the past 30 years studying how work gets done and helps companies and teams double their productivity and pursue their passions. January, 2022: What Impact Do You Wish to Have? 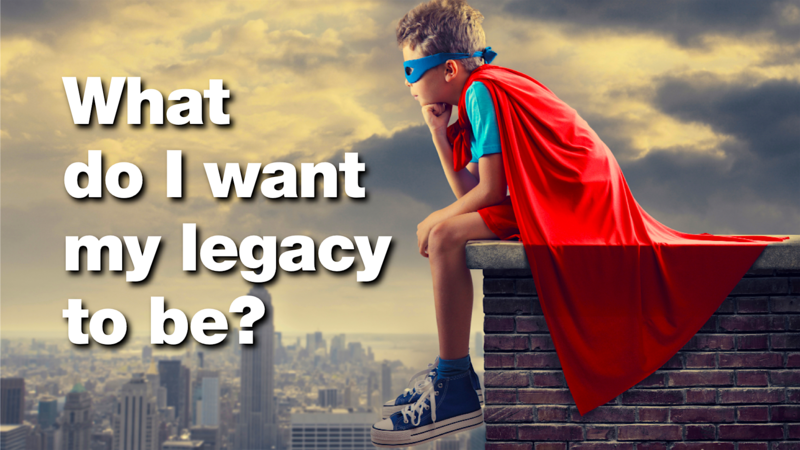 You don’t have to be on your deathbed to consider your legacy — the impact you wish to have on everyone who is touched by your work. With today’s rate of change, three years from now is long-term planning! 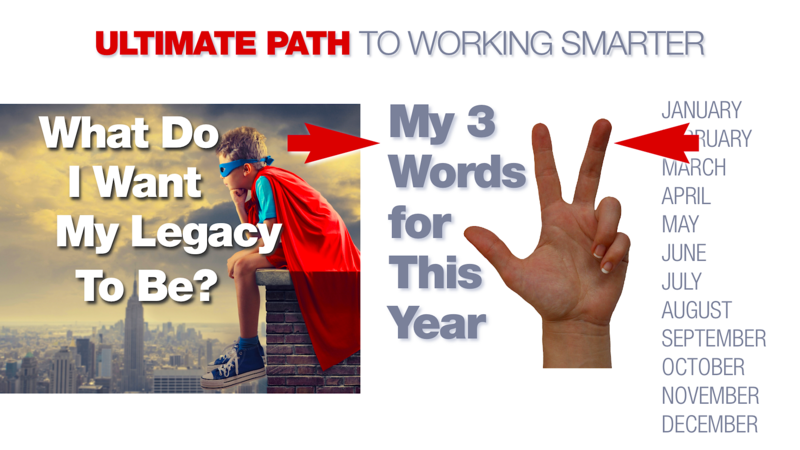 In just one word or a short phrase: What’s the impact you wish to have on people three years from now? Write that down. In a moment, you’ll be combining your word/phrase with Step 2. Now simplify your 2019 down to just three words. If that’s not easy for you, I’d suggest going here or here or or here — three sources with lots of aspirational words to get you started. Once you’ve selected your three words, that is your super-simplified definition of success for 2019. 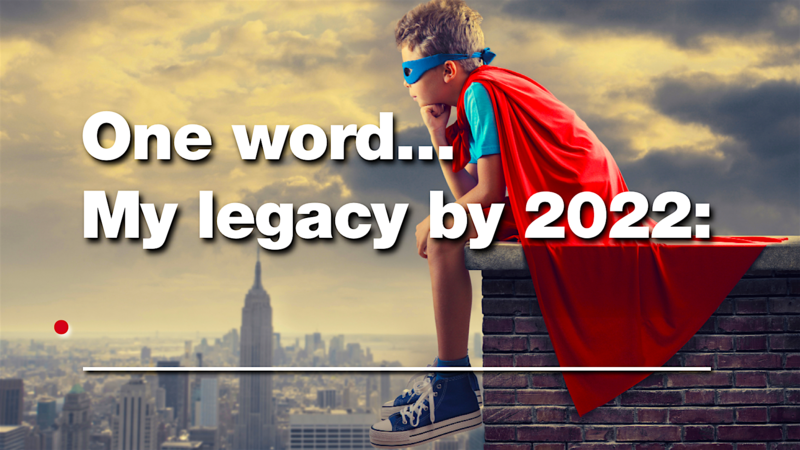 The ultimate path is when you tie together your longer-term impact goals (2022 legacy) with your simplified 2019, and then check how you’re doing on those every month. Simplifying your path to working smarter is not about the latest app or newest shiny object. It’s about you deeply understanding who you are, the impact you wish to have on the world, reducing all that to just a few key words as aspirations and goals. 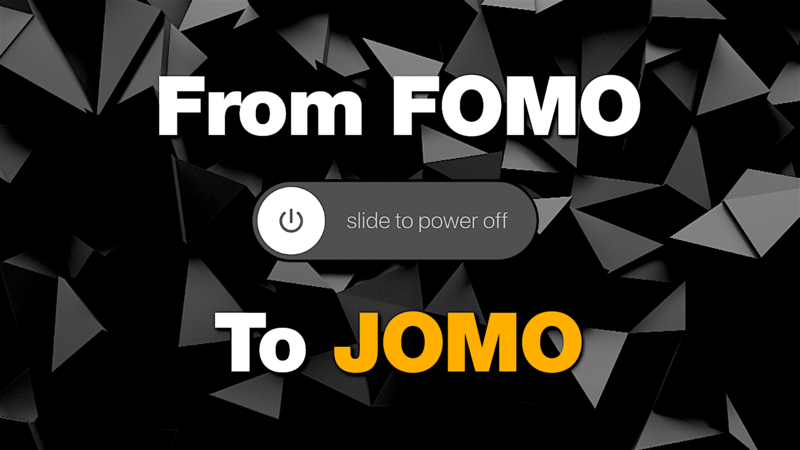 And, one of the disciplines it’s going to take to get there: Moving from FOMO (fear of missing out) to JOMO (the joy of missing out). Put down the phone more. Unplug from the latest app. Take someone out for coffee, or just give them a hug, and be present. Truly present. Being present is the present you give yourself and others in the present, for the future. Bill’s upcoming book, The Day Tomorrow Said No, is a powerful fable about the future of work. A fable specifically designed to revolutionize conversations about the future between leaders, the workforce, educators, and students. Go here to download a FREE copy of the final pre-press draft of the book. Bill Jensen is an internationally-acclaimed thought leader who is known for extremely useful content, with a passion for making it easier for everyone to work smarter, not harder. He is an IBM Futurist, and has conducted high-impact future of work research for multiple technology giants. Bill has written eight best-selling business books, all focused on helping you do and be your best. His first book, Simplicity, was the Number 5 Leadership/ Management book on Amazon in 2000. His latest book, Future Strong, maps the tough choices each of us make to create our best futures. He is CEO of The Jensen Group. Among his clients are Bank of America, Merck, Pfizer, GE, L’Oréal Italia, Genentech, NASA, The World Bank, BBC, Philips Lighting, the US Navy SEALS, the government of Ontario, Singapore Institute of Management, Guangzhou China Development District, and the Swedish Post Office.